In June of 2008, Public Law 110-246 (commonly called the Farm Bill) included the authorization of Subtitle C: the Wetlands Preserve Program (WRP). From a Reed Family Ranch perspective, one of the outcomes of this important federal legislation was to utilize funds to set aside properties in recognition of the importance of wetlands to our society and to our way of life. Now, over 3 years later - the full effect of this legislation is being felt at the Reed Family Ranch. On August 16th, 2011, an agreement was signed with the U.S. Department of Agriculture, Natural Resources Conservation Service (USDA-NRCS) by ranch owners Jim and Judy Reed to set aside 1168 acres of the wildlife-rich Trinity Basin in perpetuity. It is felt that this agreement will benefit wetlands preservation, wildlife and a sustainable outdoors environment in which both wildlife and people can continue to enjoy through the ages. 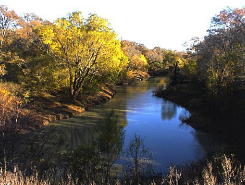 According to Kristy Oates, NRCS district conservationist for Navarro County "The WRP easements provide habitat for wetland dependent species, increase water quality, and reduce flooding and soil erosion while providing personal enjoyment for everyone. Wetlands provide valuable benefits for humans, animals and the environment". Here's the timeline experienced by the Reed Family Ranch in the creation of the 1168 acre JReed Wetlands Preserve. February 2009 - a decision is made by landowners Jim and Judy Reed to advertise and open up other opportunites for ranch land ownership and riparian habitat management. March 2009 - conversations are held with Julie Shackelford of The Conservation Fund about various opportunites; including additional information about the USDA-NRCS Wetlands Reserve Program (WRP). April 2009 - WRP application submitted to the local NRCS office in Corsicana Texas by Jim and Judy Reed. May 2009- Meetings and discussions held with the local NRCS office regarding this application and implications of this type of conservation easement on Reed Family Ranch property. 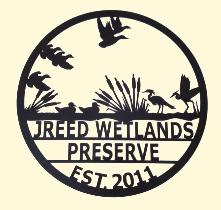 June 2010 - NRCS offers to purchase a Wetlands Conservation Easement from Jim and Judy Reed. This WRP easement would include acreage in the wildlife-rich Trinity River Basin and an egress road running through the hill land of the Reed Family Ranch. 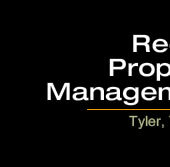 July 2010 - The Agreement to purchase a WRP conservation easement on the Reed Family Ranch is executed. Increased contact with USDA contract officer Claude Ross located in the Temple NRCS office. Summer 2010 - WRP implementation discussions continue with Kristy Oates of the local NRCS office in Navarro County. November 2010 - Supplemental agreement signed by landowners Jim and Judy Reed and NRCS to conduct a land survey to establish the WRP boundaries. The Hearn Survey Associates group in Athens Texas is contacted about the survey. December 2010 - Meeting with Hearn Survey representive Mark Ferrell for pre-survey site visit. Initial land survey is estimated at 1228 acres. Jan 2011 - Commencement of land survey by Hearn surveyors. 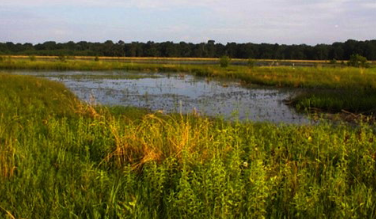 February 2011 - Land survey is completed by Hearne Surveying Associates resulting in 1168.3 acres of Wetlands Reserve Program land. Conservation Easement Boundary posts are driven in the ground at each corner and also placed every 500 foot around the WRP boundary. 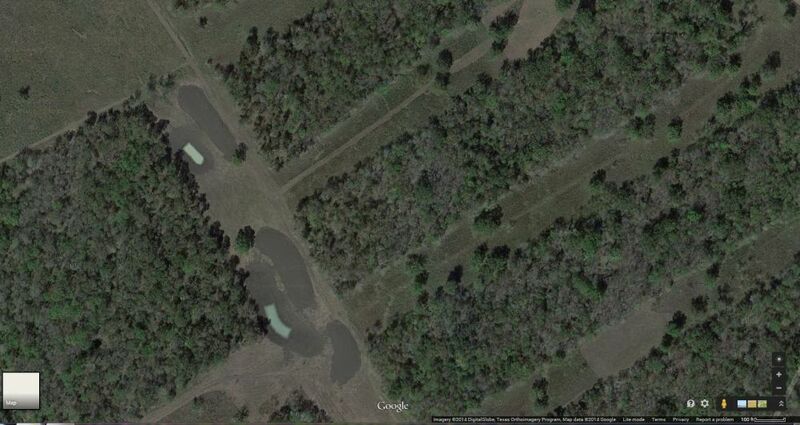 Also, an egress road route to the WRP land is established across the hill land of the Reed Family Ranch. Note: This survey was compared with a 1972 survey done by the same Hearn Surveying group. It was found that approximately 2-3 acres of land had been lost to the river over the approximate 40 year period of time. 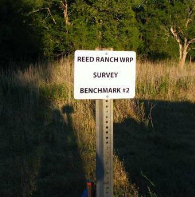 Also during the survey, an exception was noted with a small 5.1 acre tract in the ranch's Horn Lake Drainage area being determined to be outside the WRP boundaries. March 2011 - Supplement to agreement made based on land survey results - resulting in a 60 acre reduction from the original estimate of size. April 2011 - NRCS design engineers and techs visit ranch and establish parameters for wetlands sites restoration. June 2011 - Conservation plan written by NRCS; with restoration sites A, C, D, and E (approximately 76 ac) identified. Restoration plans include 4 sites with swales, kidney ponds and conical ponds. August 16, 2011 - Signed agreement and payment made by NRCS to Jim and Judy Reed (with 2011 property taxes withheld). Title searches and legal work having been completed by the Austin Branch of the Chicago Title Company. Includes the law offices of Bleau and Associates (closing officer Kathleen Manchin). Also included in the title search was MicroTitle Navarro County of Corsicana Texas. Lance Waggoner was the assisting closing officer for MicroTitle. August 26, 2011 - Signed warranty deed received by Jim and Judy Reed from Chicago Title Insurance Company of Austin Texas. 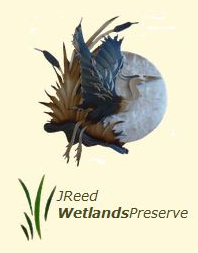 The JReed Wetlands Preserve is the result of a partnership between the Dept of Agriculture, NRCS - and the Reed Family Ranch. About 1168 ac of prime Trinity River Basin land has been set-aside to benefit wildlife and natural landscapes. Here's some information from the NRCS Conservation plan which is in place now! Planning to manage early plant succession to benefit desired wildlife and natural communities. Planning to maintain, develop, or improve habitat for waterfowl, fur-bearers, and other wetland associated flora and fauna, site specific wetland practices will be applied, managed, and maintained. Native grasses and hardwood trees will be managed for feeding, roosting, and nesting purposes. The water control structures will be managed for an optimum water depth of 6 to 18 inches. The sites should have a slow draw down completed between April 15 and June 1st to produce diverse vegetative cover. In moist soil unit areas, disking should be completed on 2-3 year intervals. 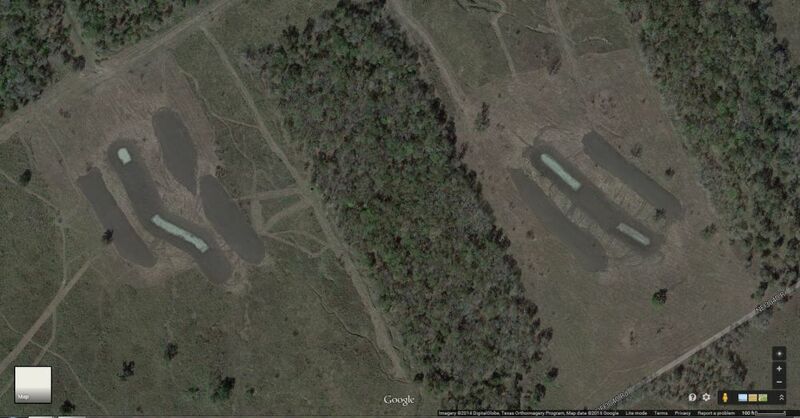 About 76 acres of swales, kidney ponds, and conical ponds (shown as 4 separate sites on the maps below) are planned for construction in June of 2012. July 2012 - NRCS Construction Sites Begin! 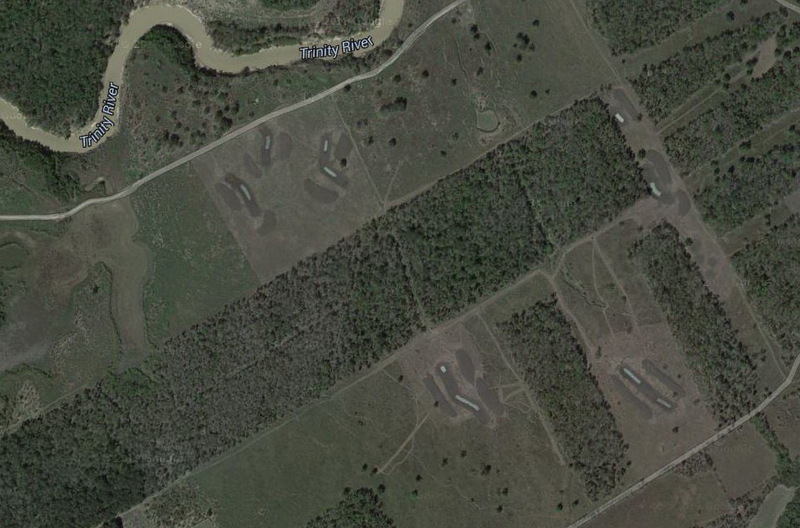 On July 26th, 2012 - a mowing operation began the preparation for dirt moving by NRCS contractor L3 Construction Company (who works out of Gatesville Texas). Current plans are for this construction company to move equipment in on August 2nd. 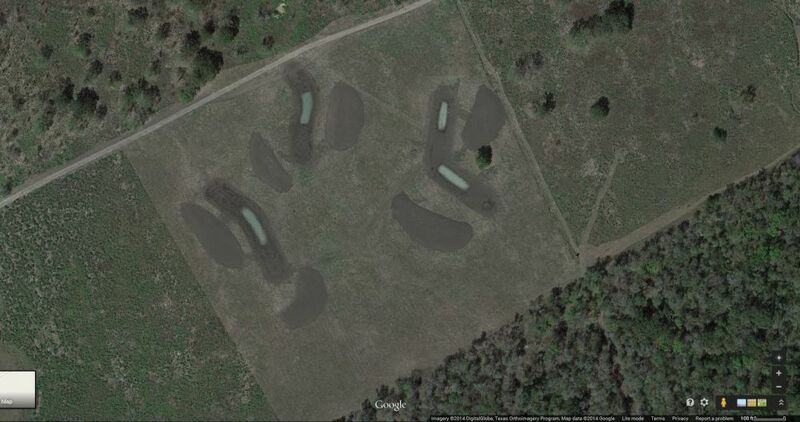 Here are four photos showing the progression of mowing in Site A (North Pasture). Here are three photos showing the progression of mowing in Site C (East Lanes).